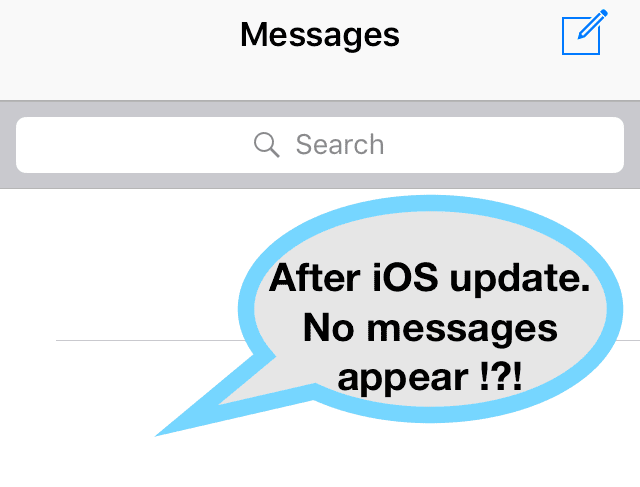 Have your iPhone texts disappeared, and you lost all your existing messages after your upgrade to the latest iOS or after a restart? Are your iMessages disappeared but still taking up storage? Well, who knows what or how this happened. The why really doesn’t matter. You want back all those lost messages, especially any pictures, videos, and other attachments that are really hard to get back. Most iOS updates also bring with them a slew of newly discovered bugs including sync problems, iPhone black screen, and other problems including the unfortunate and potentially devastating iPhone text messages disappeared. 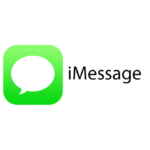 1.2 Have Multiple iDevices or Own a Mac, Check Those for Lost Messages! Check if your Messages are back! Have Multiple iDevices or Own a Mac, Check Those for Lost Messages! 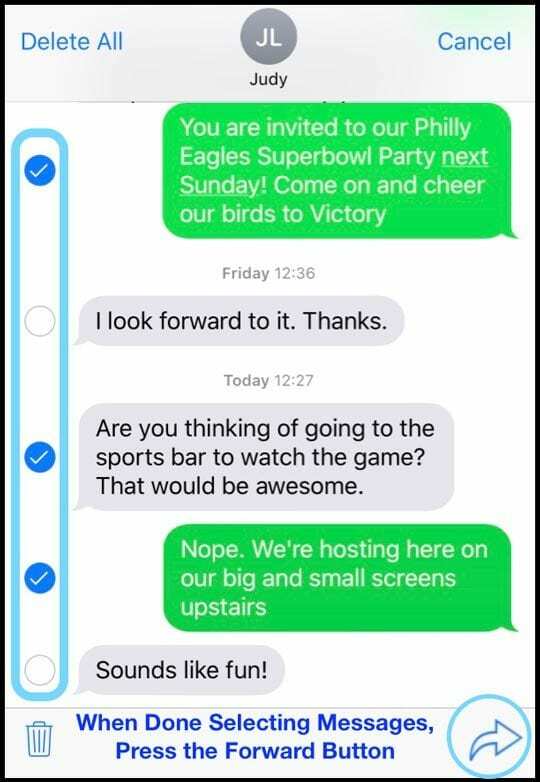 Try to see if you get your “lost” messages on another of your iDevices or your computer. One of your other iDevices or your computer may just show all of your years of messages even though they had seemingly disappeared from your iPhone. 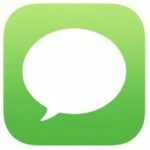 If you find your texts on another device, it’s possible that iMessage syncing following an update is taking a lot of time due to the size of your message archive. 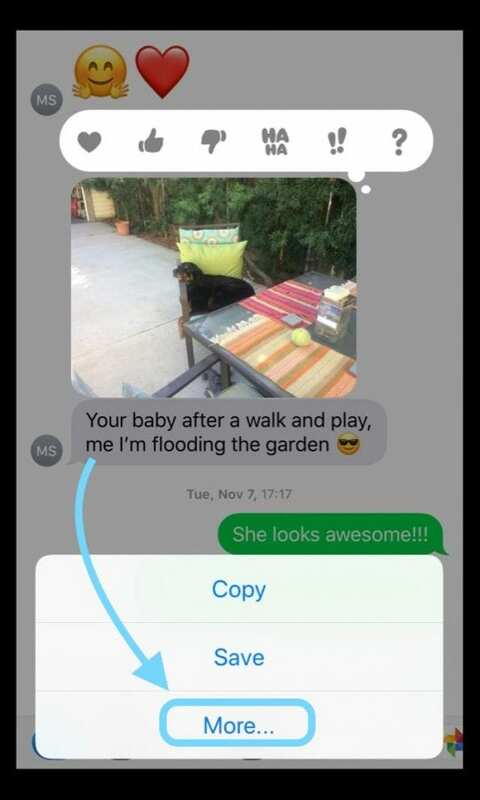 Wait a few days and see if your Message App updates to show all your messages. If time doesn’t fix the problem, check that all your devices are on the same WiFi network–some readers report that this fixed the problem and all their missing messages reappeared! In the pop-up menu, tap More…. Add in your phone number or Apple ID email address and press send! With your texts now copied, you can now paste them into an email, note, and other apps! If you want all your text messages to go to all your devices, you must set-up text messaging forwarding on your iPhone. 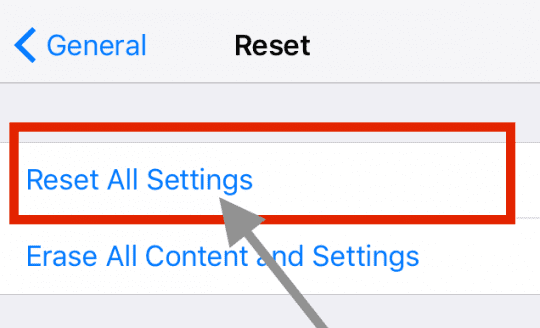 You can use this feature, called Continuity, between any iPhone and your Mac, iPad, or iPod Touch, as long as it meets Apple’s Continuity system requirements: iOS 8+ for iDevices and Mac OS X Yosemite or higher for Macs. 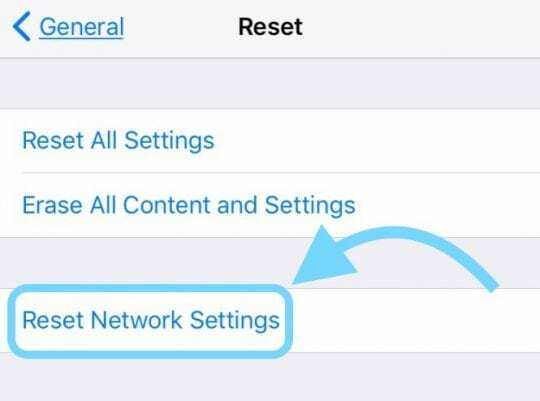 On your iPhone, go to Settings > Messages > Send & Receive. 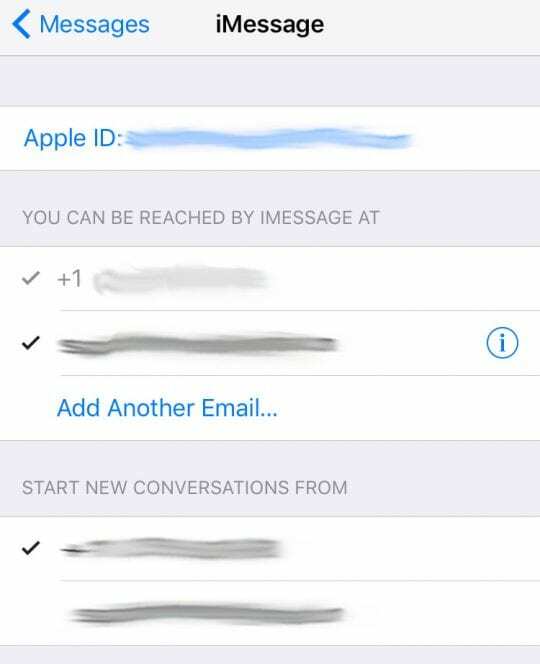 Verify that the Apple ID listed is the same Apple ID that you’re using for iMessage on all your other devices. Go back to your iPhone and navigate to Settings > Messages > Text Message Forwarding. Select all the devices you want to send and receive text messages from your iPhone. If none of the “easy” steps worked, it’s time to restore our iDevice. 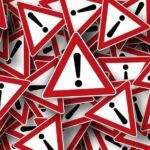 Sometimes you lose SMS or iMessages when connected via unreliable internet connections. Hopefully, you backed up via iTunes or iCloud before you updated your iPhone or another iDevice. If so, then let’s restore your iPhone or another iDevice by using that backup. Your backups contain the SMS and iMessages that aren’t showing up, so that’s why we’re restoring. If you backup on iCloud, check out this guide on how-to restore your iPhone with iCloud. 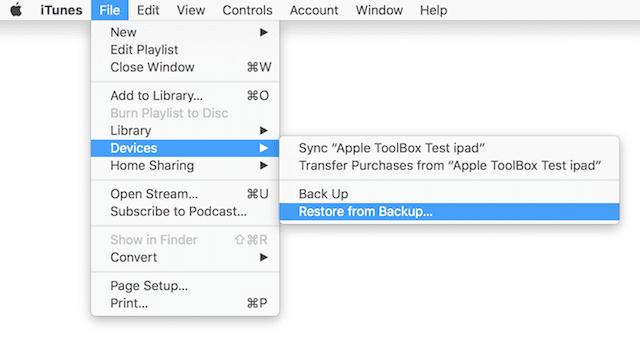 If you backup using iTunes on your computer, follow these steps on how-to restore your lost messages by using iTunes. Once the restore process finishes, check and see if you got back all your iPhone texts that disappeared. Sometimes though, restoring your iDevice didn’t get back some or even all of your lost texts or attachments. What’s a guy or gal to do??? In this situation, it’s best to seek some help from backup extract tools. There are a lot of options out there including PhoneRescue, AnyTrans, iPhone Backup Extractor, iBackup Extractor, iBackup Viewer, and a bunch of similar applications. These apps, some free and others paid, allow quick previews of your backup data on iCloud and iTunes. By using these backup extract tools, you get to see if your deleted messages are indeed stored on your backup. These tools especially help those iFolks who see that Messages is taking up space in their storage despite no messages actually showing up in the Messages app. If interested in any of these tools, please visit their websites for information on pricing and how to use the tools. AppleToolBox does not endorse any specific backup extraction tool. 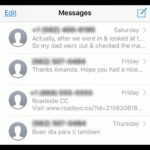 When Apple releases a new iOS version, often iMessages get lost in the update. It appears to be an issue with Apple’s servers. Perhaps due to high demand on those servers, your messages are not downloaded from the server right away. So a final option is to wait a few days and see if Apple’s servers work and download all your iMessages. Yeah, not perfect. But appletoolbox.com readers report this sometimes does the trick for them–patience is a virtue indeed, especially for us iPhone and iDevices users. Alas, if nothing yet works for you a factory reset may be in order. Check out our How-To Reset article if you need to perform a factory reset. I followed these steps and it worked. Turning off iMessage, powering down the iPhone with the power button (slide to power off) with iMessage off, then powering back up -messages reappeared. Flipped iMessage back on and bam back in business! I found your article via Google and it was very helpful to follow the steps you listed. If it helps, this is what was on the phone and it managed to “bring it back” for a very panic stricken boss. Thank you for this! Closing out my messages and turning my iMessage on and off worked like a charm!